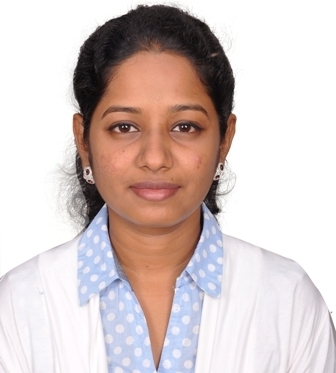 We are happy to welcome Dr.K.N.Jayalakshmi, on board the team of Parasu Dental Centre, Adyar. Dr. Jaya Lakshmi graduated in the year 2011 with the degree of BDS from SRM University and she has also been bestowed with the degree of “Diplomate in Orthodontics” from WOI university of Spain in 2015. She has also completed a comprehensive course in Endodontics and restorative dentistry specializing in Root canal treatment. She is constantly attending various Dental education and training programs like, The Single Visit CAD CAM crowns, Comprehensive Prosthodontics, Insight into Orthodontics by IDA. She is also a keen academician and has presented numerous papers in National conference of ISDR & IDA. She Possess two years of professional clinical dental experience with in depth knowledge in examining radiographs providing diagnosis, treatment plan and oral hygiene techniques as well as performs Restorative, Prosthodontic, Orthodontic and Endodontic procedures. She is also a keen believer in our concept of “Blending the Art & Science of Dentistry” towards better and long term sustainable Dental care.